It's a good time for fans of powerful file browsers. 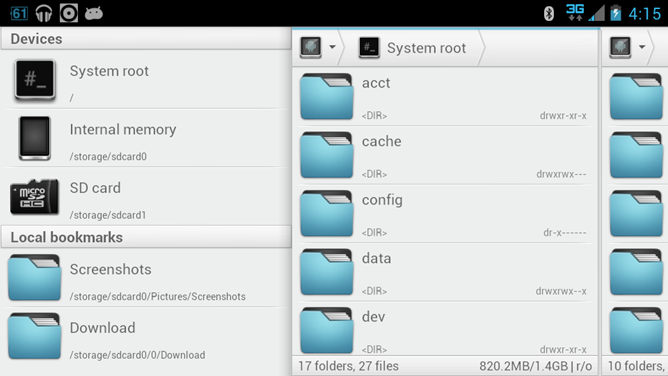 Just a few days after Root Explorer got a substantial update, popular alternative Solid Explorer is getting the same treatment. The changelog for 1.4.5 includes a laundry list of new features and tweaked settings, all of which combine to make Solid Explorer an increasingly powerful option. The app is offered in a 14-day free trial, with an unlock application costing $1.99. The most user-facing change is probably the swipe-out side menu, which includes both the primary storage divisions (root, internal, external) and quick links to your bookmarked folders, if you have any. It can get a bit busy for Solid Explorer's dual-pane horizontal view, but for portrait mode, it's might handy. The interface now resizes to be larger or smaller with a pinch gesture, in a list-only twist on the pinch-to-zoom UI standard - something I don't think I've ever seen before in quite the same way. New animations for lists, new list filters, and a queue for active operations round out the visual updates. 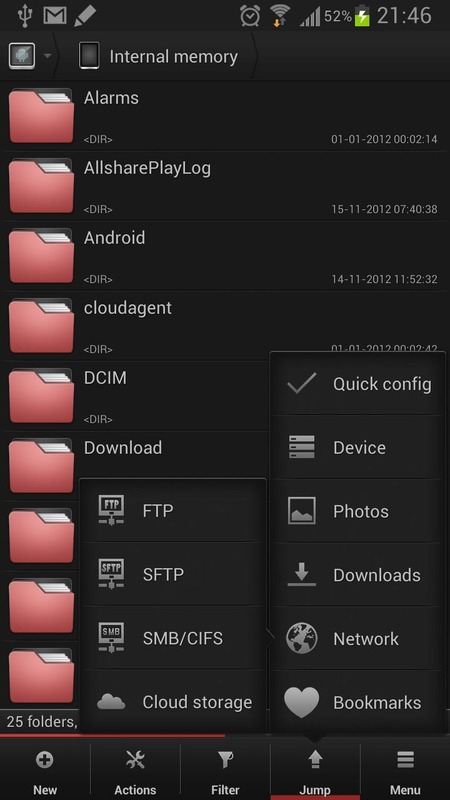 Users can also share files via NFC (on compatible devices, of course) and in access point mode. 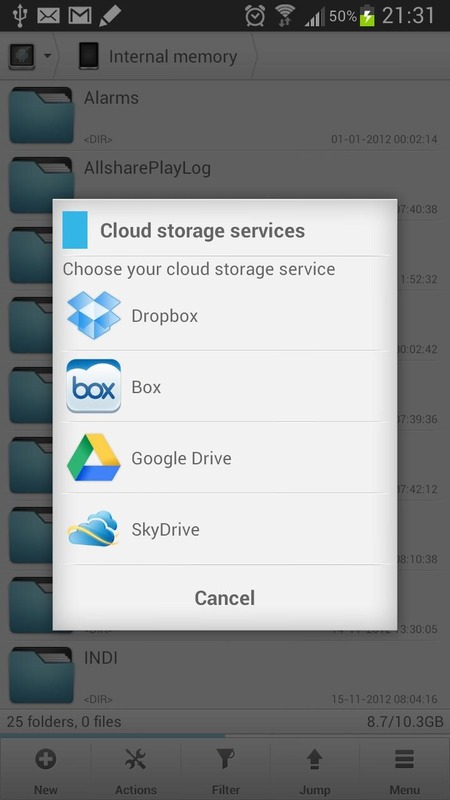 Solid Explorer now includes a WebDav client with support for cloud storage from Yandex and Owncloud, plus automatic uploads for remotely-accessed files that are edited on your Android device. 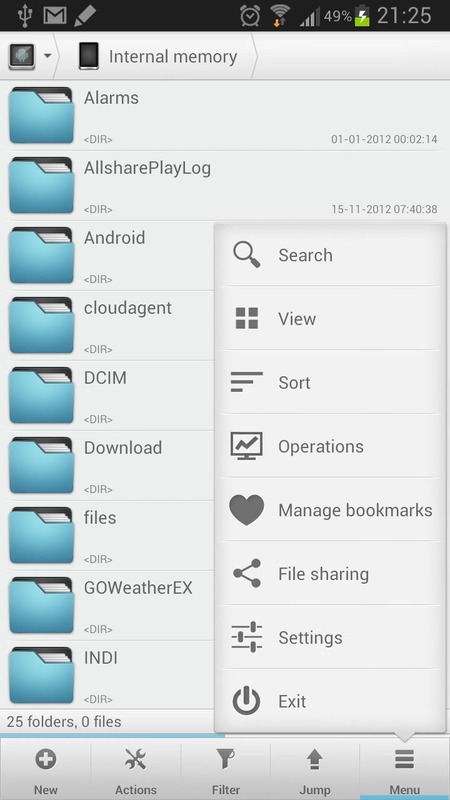 You can also change file associations within the app. 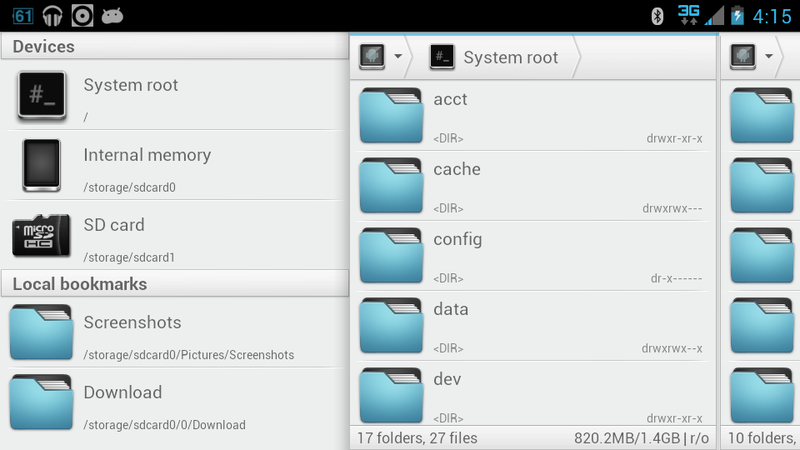 For those of you who are wondering, yes, the app does work with root file permissions. 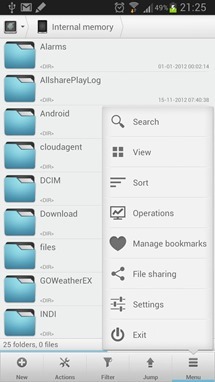 Solid Explorer requires Android 2.2 or later.